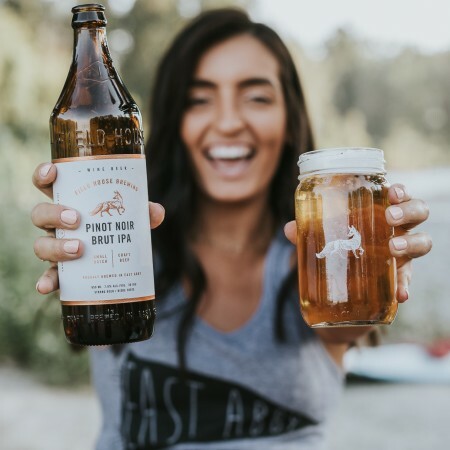 ABBOTSFORD, BC – Field House Brewing has announced the release its newest single batch beer. A blend of wine and beer styles, this IPA was fermented extremely dry and features a pairing of pinot noir grape juice and mosaic hops which complement each other’s berry, herbal, and floral aromas. By dry-hopping with mosaic, citra and simcoe, we’ve further pushed the hop complexity and brightness. Pinot Noir Brut IPA is available starting today (June 14th) on tap and in 650 ml bottles at Field House.